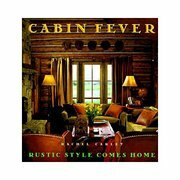 Correct cabin interior design begins long before the log cabin décor is selected. The perfect log cabin interior requires careful thought and consideration of the log home’s interior layout and cabin floor plan. The uniquely American style of the log cabin lends itself to a rustic design that recalls early pioneer days and the rugged frontier spirit. The log home owner should carefully think through the various functions and final needs of their log home and produce or select a plan that reflects the overall design aesthetics that will accomplish those needs. While purchasing and assembling the log cabin home décor is a fun and necessary part of the process, the cabin interior design decisions made in the planning stage will have a significant effect on the final visual impact and user-friendly appeal of the log cabin. 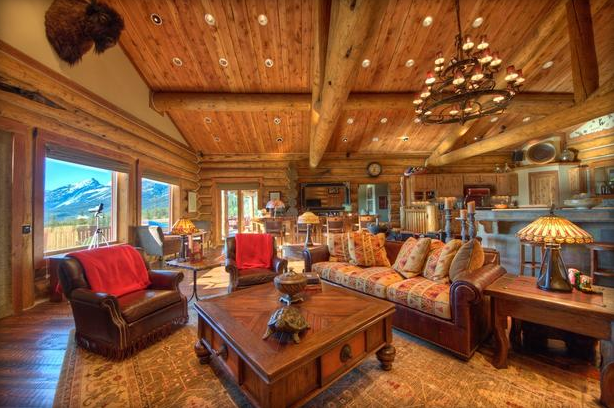 Plan your log cabin interior design with various scenarios in mind. You may think that your log cabin is simply a weekend getaway right now, but someday you may want to retire there and you should consider some aging-in-place ideas for your cabin plans. Are you going to be hosting large family events like Thanksgiving dinner or Christmas holidays at your cabin? Think through the number of people you need to accommodate in terms of sleeping quarters and eating arrangements. Plan some areas to be multi-purpose zones – the cabin loft is a versatile space that can be converted to sleep kids or provide a writing retreat, or your office may have a fold-out futon. Maybe you anticipate hunting buddies converging on your cabin and are looking for a more rugged, masculine design. Leave an area that can be a family game room, a venue for the adult’s poker night or a quiet reading room. A log cabin lends itself perfectly to utilizing rustic décor elements for your cabin decorating, but a rough, backwoods feeling is not necessary. Rustic elegance combines the aesthetic appeal of a log cabin’s solid frontier feeling with the smooth, comfortable amenities of modern life we all have come to rely on. The stone hearth of a fireplace provides a warm ambiance for a comfortable great room or den. Rugged iron railings anchor the lighter tones of the wood and provide exceptionally strong safety barriers for toddlers. A rustic overhead ceiling fan provides comfort as well as a rugged traditional look to your great room. Creating the log cabin look using rustic design elements can be done easily by installing log siding on an interior wall. If you can't afford to build a log home but still want that cabin feel, consider using log accents such as log siding, log furniture, and twig railings and log posts and beams. Log cabin home décor tends to draw from nature. The textures of the rustic cabin decor may be rough like the bark of a tree, big and dramatic like log home furniture, hand-scraped hardwood floors, leather couches and lush fabrics and rugs. 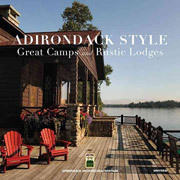 Southwestern throws & rugs and studded leather furniture give the place a sprawling rugged ranch style; twig furniture and bark finishes recall lake cabins in the Adirondacks. The wood used in log home furniture and cabin interior design may range from smooth, varnished white pine to rugged aged barn wood. Many people are utilizing reclaimed wood into their log homes: antique rail trestles converted into hardwood flooring or sunken cypress logs recovered from the bottom of a river become table slabs. It’s not only gorgeous and unique; it’s also a way of building green. The muted color tones of nature lend themselves well to cabin interior design: lush greens of leaves and moss; the muted browns of the woods; the deep reds and golds of autumn leaves. Use the neutral and soft earth tones of the logs themselves to inspire your choice of interior colors. 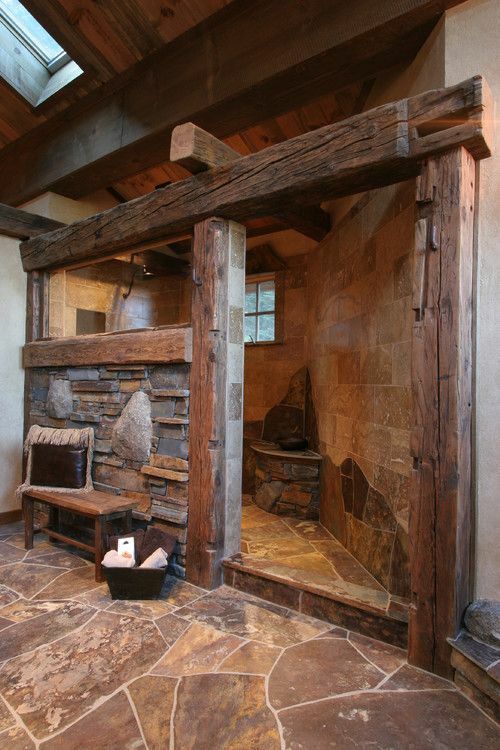 Your decision on the ultimate log home interior design will play a part in your early decisions about your logs. What style of log to use (handcrafted vs. milled), type of wood (think light pine vs. heavy oak), log shape (rounded inside and out, or square with chinking grooves, or a “D” log with a round outside and a flat inside), finishes (dark or light stain, glossy or satin finish), etc. all have to be decided before you get very far along with the design. How will the anticipated traffic change your log cabin layout and room size? Do you want a huge central stone fireplace as the focal point of your Great Room or maybe a cozy fireplace tucked into the corner? Have you considered a wood burning stove or some other alternative fuel? Will you tend to congregate around the kitchen area and need a central island or peninsula for guests to relax? What are your options for cabin kitchen countertops? Should you install granite countertops? Should you add an extra bathroom or just a public half-bath? Consider these loft and deck railing ideas and designs. This is the fun part. Once you’ve thought through the myriad decisions that accompany early log cabin layout and actual cabin floor plans, cabin decorating often comes together naturally and with ease. It’s an organic process where you have already planted your mind with the seeds of your final log home interior design and every step along the way has led you closer towards realizing your log cabin’s aesthetic vision. Now you can incorporate the log cabin décor themes and rustic interior design elements that will finalize your log cabin dreams. 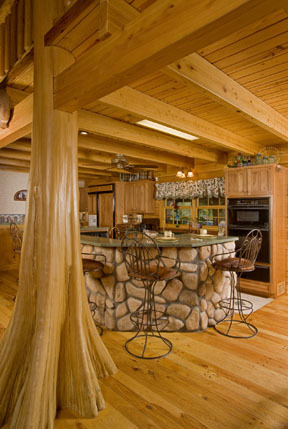 Refer back to your cabin interior design plan and add into the mix the log cabin decorations that appeal to you. Cabin interior design is an overall consideration of the function of your log cabin and the final form that it will take. A pleasing blend of the two factors will not only increase your final enjoyment of your cabin but will also enable you to proceed with the construction and decoration clearly and with focus. The peaceful atmosphere of a log cabin invites you to relax in a friendly rather than formal setting.